Protection isn’t just about a potential future financial pay-out. Some plans can help policyholders in the here and now, through the additional support services they offer. Talking to clients about these can help you to have more meaningful and positive protection conversations and grow your business. Scottish Widows Care comes with every protection policy and offers tangible benefits including practical advice and emotional support from the day a plan starts. So, even for clients who can’t envisage making a claim, the support service can provide real value in other ways. 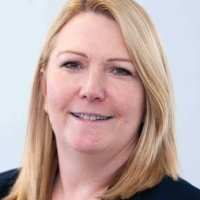 Kathryn Knowles is Managing Director of Cura Financial Services, a protection specialist financial advice firm based in North Yorkshire. By using a positive, human approach to educate clients on the value of protection, Cura have grown their protection business by 16.5% over 18 months. Kathryn understands the importance of handling protection conversations with care. Additional support services can be a great way in, because they help clients see the immediate benefits of protection – especially if the service comes at no extra cost. Support services can also demonstrate the value of protection policies to client wellbeing. When advising clients, Kathryn takes a very human approach to the protection conversation. Instead of a list of generic questions, she starts a conversation with the client about their lifestyle and circumstances. Being open and honest, drawing on your own experiences and putting the client at ease can help you build the rapport necessary to get what you need to set up a policy. Drawing on her own experience of growing Cura’s protection business, Kathryn highlights some points to keep in mind when talking to clients about protection. Firstly, to source the right policy for the client’s individual needs, you must find out as much about their specific situation as possible, as sensitively as possible. Having a meaningful conversation may be a better way to uncover the details of more delicate matters than simply checking off items on a form. Next, talking about added-value support services is an excellent way to introduce a human element to the protection conversation. Knowing that practical and emotional help is just a call away can add a whole new dimension to the client’s concept of cover. Finally, the way you present the package is also critical. A quick overview of a protection policy won’t have the same impact as a full explanation of the tangible benefits as they relate to your individual client. For more insight from Kathryn, watch the short film.